The Town and Village Renewal Scheme is an initiative under the Government’s Action Plan for Rural Development, Realising our Rural Potential, and is part of national and local support measures to rejuvenate rural towns and villages throughout Ireland. Category 1: Towns and villages with a population of 5,000 people or less. All Expressions of Interest will be assessed based on the priorities as contained in the Scheme Outline. 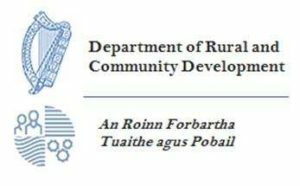 A maximum of 12 proposals will be selected for development into detailed applications, which will be submitted to the Department of Rural and Community Development for final approval. Project proposals must include activities that will have clear positive economic impacts on the town or village making them more attractive places in which to live and work, and to increase their tourism potential. Successful proposals must demonstrate close collaboration between communities and business interests in the design and delivery of proposed projects and must have the support of the Local Authority. All projects should also outline the consultation process undertaken. Projects will be required to commence in 2018 and be completed by the end of 2019. Up to 80% of the total cost of a project can be provided for any individual project. The minimum grant which is available is €20,000 and the maximum is €100,000. All interested groups must complete an Expression of Interest Form and return to the Community Department, Kerry County Council, Rathass, Tralee or email to community@kerrycoco.ie no later than Friday 25th of May at 5pm.